With ancient evil loose in the world, Zoey's very existence is on shaky ground, so when a seductive force is revealed to her, she must find the strength to reveal the truth or lose everything that matters, including her soul. P.C. 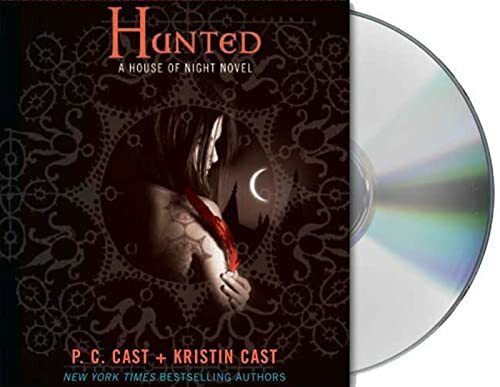 CAST is an award-winning fantasy and paranormal romance author, as well as an experienced speaker and teacher. Her novels have been awarded the prestigious Prism, Daphne du Maurier, Affaire du Coeur, and other awards. She lives and teaches in Oklahoma. KRISTIN CAST has won awards for her poetry and journalism. She also lives in Oklahoma where she attends Northeastern State University as a Biology major. JENNA LAMIA made her Broadway debut in 1988 in Ah, Wilderness. Her other acting credits include appearances on Oz, Law & Order: SVU, The Jury, and NYPD Blueas well as the films The Fighter, The Box, and Something's Wrong in Kansas. Jenna's audiobook credits include reading Mary E. Pearson's The Adoration of Jenna Fox, which won a YALSA Amazing Audiobooks for Young Adults award, and Carol Lynch Williams's The Chosen One, for which Jenna received the 2010 solo narration (female) Audie Award. She attended Amherst College, New York University, and the Sorbonne in Paris.